Three men wielding a machete and knives attacked a man in New York City, slashing him and cutting off one of his fingers, according to police. The trio assaulted a 25-year-old man inside a stairwell in the Bedford Park neighborhood of the Bronx, authorities say. It happened at Briggs Avenue at approximately 11.10pm Saturday, amNY reported. 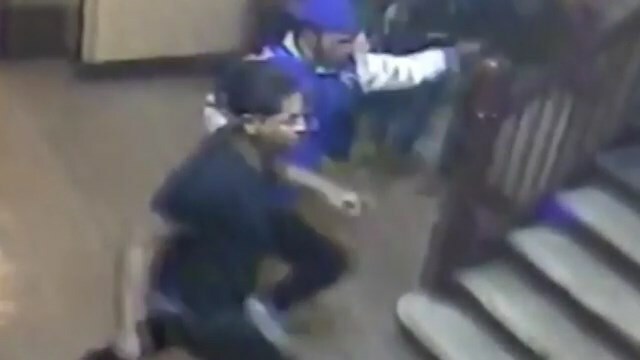 Police have released video of the attack, which shows the suspects in the building. One of them clearly gets out a machete.